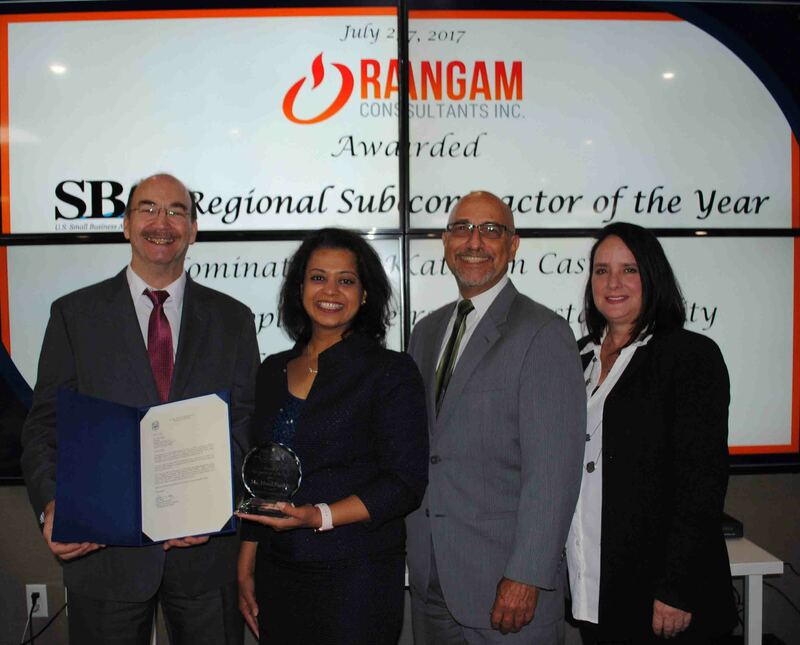 On the heels of winning the 2017 KellyOCG Preferred Supplier Award and the 2016 TAPFIN Premier Partner Award, Rangam Consultants, Inc. receives the 2017 Regional Subcontractor of the Year Award for Region II from the U.S. Small Business Administration (SBA). 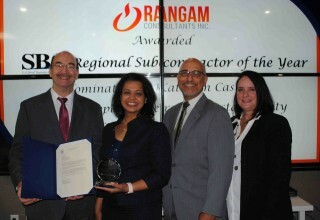 SOMERSET, N.J., August 2, 2017	(Newswire.com) - Out of a nationwide pool of 10 competing subcontractors, it was Rangam Consultants, Inc. that won the 2017 Regional Subcontractor Award from the U.S. Small Business Administration — a federal agency protecting and advancing the interests of small businesses. The Somerset, New Jersey-based staffing firm came out on top because of its superior technical and management capability, financial strength, customer interface, and the ability to deliver quality services and products on time and at a competitive cost to the U.S. government. Rangam has been efficiently meeting the staffing needs of both private and public sector organizations for years. 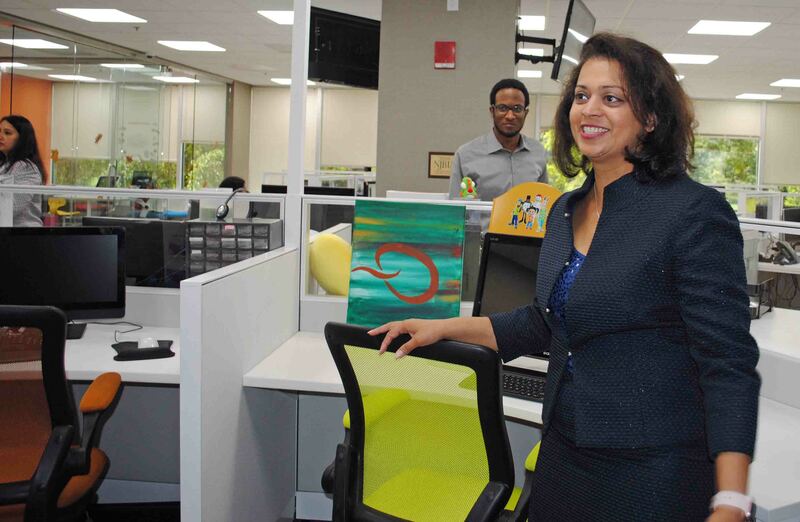 The company has built a reputation as one of the top vendors in the area of MSP-driven contingent workforce solutions that continue to shape the current and future talent sourcing trends in the country. To be nominated by Sanofi, a well-respected and successful global life sciences company committed to improving access to healthcare, is a testament to not only the value a small business can deliver, but also the hard work and integrity of each and every Rangam employee that enables our company to consistently deliver quality services on a timely basis. 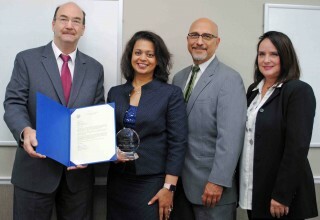 Each of our employees shares a sense of commitment and pride in their work that contributes to the success we enjoy today and has put us in a position to be recognized as SBA's 2017 Regional Subcontractor of the Year. 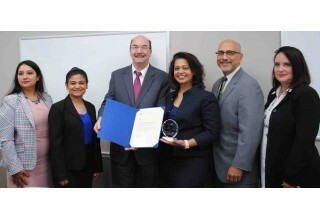 "To be nominated by Sanofi, a well-respected and successful global life sciences company committed to improving access to healthcare, is a testament to not only the value a small business can deliver, but also the hard work and integrity of each and every Rangam employee that enables our company to consistently deliver quality services on a timely basis," Rangam President Hetal Parikh said as she thanked Kathleen Castore, Head of Supplier Diversity & Sustainability North America Procurement for Sanofi, for nominating Rangam in the SBA program. 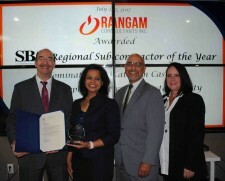 Hetal also thanked Al Titone, SBA New Jersey District Director, and Michael Cecere, SBA Procurement Center Representative, for acknowledging Rangam's capability as a woman-owned small business. "Each of our employees shares a sense of commitment and pride in their work that contributes to the success we enjoy today and has put us in a position to be recognized as SBA's 2017 Regional Subcontractor of the Year," she said. Notably, SBA acts as a bridge between woman-owned and service-disabled veteran-owned small businesses and the federal government, with the objective of procuring 23 percent of prime federal contracts for small businesses. "This is a small business that has a rich history of specializing in providing its customers with staffing services," Al Titone said. 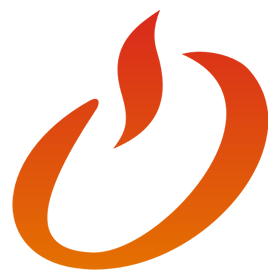 "Rangam Consultants, Inc. is a prime example why small businesses across the country are so vital to supplying the U.S. government with superior quality services and goods." Established in 1995, Rangam Consultants, Inc. is a high-performing diverse supplier of enterprise-wide stafﬁng services in IT, Clinical, Scientific, Healthcare, Engineering, Government, Finance and Administrative sectors. Rangam is a certified WMBE that has consistently grown year over year while establishing a history of providing exceptional service to clients. We pride ourselves for developing a culture of inclusion and collaboration through innovation in education and employment. Rangam improves the quality of life for our candidates while providing exceptional service to our clients. We do this by delivering an integrated recruitment solution that combines technology, training, and education to our candidates while providing our clients with a large, diverse network of qualified personnel options. We adhere to a philosophy of "empathy drives innovation" in everything we do. To learn more, visit https://www.rangam.com.